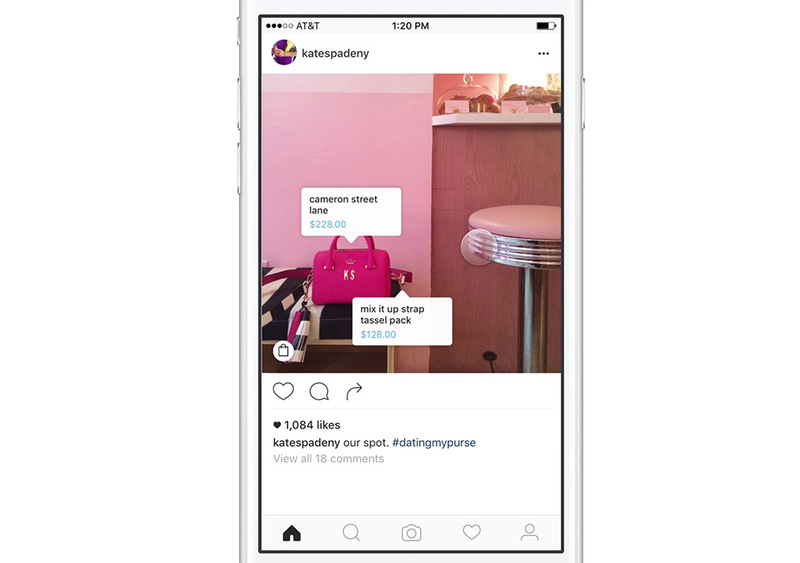 Starting next week, Instagram is going to start rolling out a program that allows brands you follow to open up shop on you within a post. The idea here is to let followers of a brand learn more about items they are seeing without leaving Instagram, but then also offering them a chance to go buy those goods through that brand’s site with a couple of taps. As brand posts show up with shopping tools enabled, a tap on an image could show pop-ups with a description or name for the products on display, along with a price. Additional taps on individual items could then get you into dedicated pages to learn more without leaving Instagram. If you decide that the product is something you are interested in buying, a final “Shop Now” link gives you direct access to that product on the brand’s website, which would let you buy it. The video below showcases exactly how this will work, but you get it. The bubbles that highlight items are a lot like those you see when you tag someone. To start, there are 20 US brands testing this process, including Abercrombie & Fitch, BaubleBar, Chubbies, Coach, Hollister, J.Crew, JackThreads, kate spade new york, Levi’s Brand, Lulus, Macy’s, Michael Kors, MVMT Watches, Target, Tory Burch, Warby Parker, and Shopbop. If you follow any of those brands, be on the lookout for these new posts next week.